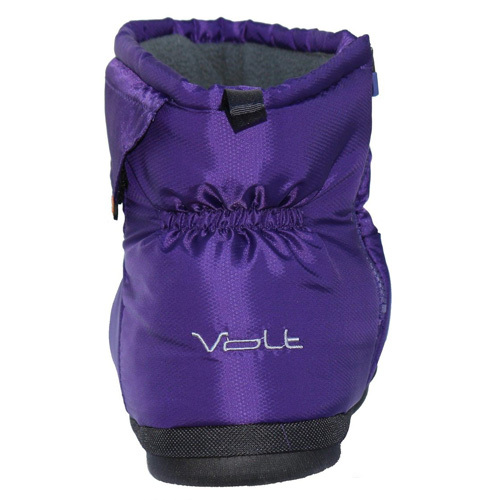 The newest model of Volt slippers is the Gen 4 Heated Slippers. One of the biggest key features is the addition of a zipper on the side for easy on and off. The Gen 4 also has an added nylon pull tab on the back. 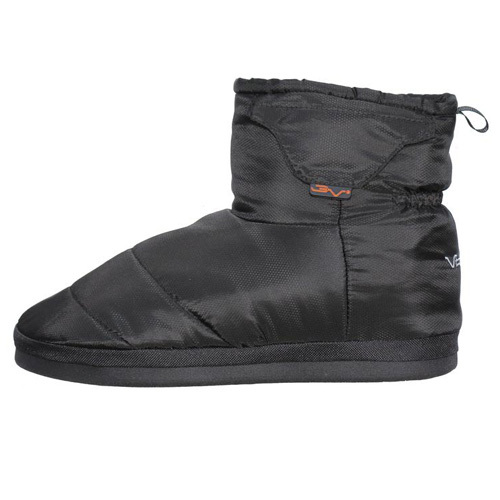 This Gen 4 heated slipper comes complete with 2 rechargeable batteries, a wall charger and wireless remote. The remote will control the temperature setting that ranges from Hi/Medium/Low. 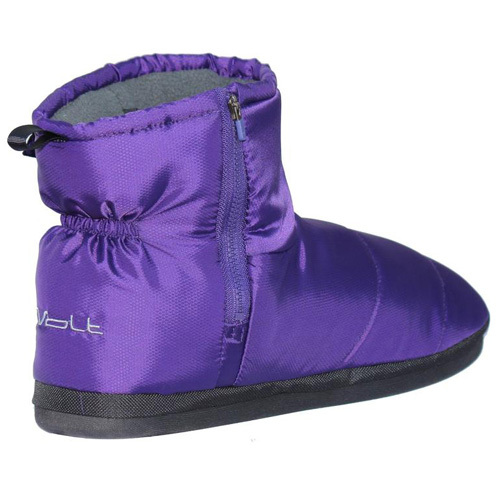 The heat system is located in the foot bed of the slipper and will heat from the tips of your toes to the beginning of the heel. The slippers are designated for indoor or light duty outdoor use and features a durable rubber outsole. The insole features memory foam with a little extra material to make it very comfortable. Approximate Battery Run Times for the VB320RC/3.7v 2000mAh batteries (included): High=3 hours, Medium=5 hours, Low=7 hours. Shoe Sizes: Small fits Women 5-6, Medium fits Men 6-7.5, Women 6.5-8, Large fits Men 8-9.5, Women 8.5-10, XLarge fits Men 10-11.5, Women 10.5-12, 2X fits Mens 12 and 3X fits Mens 13. If in between sizes or wearing very heavy socks you may want to size up. Provides between 3 to 7 hours of soothing warmth to help rejuvenate numb toes and cold, tired feet. 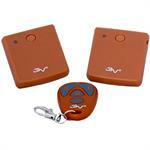 Includes two powerul 3.7v 2000mAh rechargeable lithium batteries, dual charger and wireless remote. 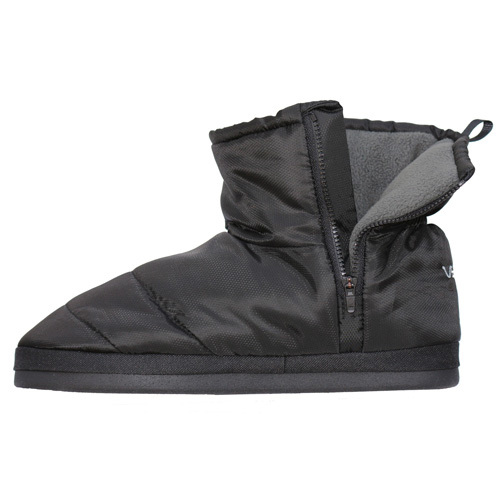 Vertical zipper on the inside of the foot makes it easy for on and off.